Children of wrath. In Adam, all die. For all mankind, having descended from Adam by ordinary generation, sinned in him, and fell with him in his first sin. The sin nature is a hereditary condition, passed down to all mankind from Adam, due to His original sin. As we are all part of Adam’s family, so we have inherited his curse. Family curses do indeed exist, for the Lord metes out punishment for the ungodly to the third and forth generation of those who hate Him. Christian, your heritage from Christ is at war with your heritage from Adam. For in Christ, you have been made alive. We were children of wrath, but God, who is rich in mercy, adopted us as sons through Jesus Christ. The Lord punishes to the third and fourth generation, but shows kindness to thousands of those who love Him. The first field of dominion is not at the doors of the state and culture, but at the doors of your heart. Sanctification is the process of evicting the old man, and installing the new man created in Christ. Inheritance goes both ways–not only are there familial curses but covenantal blessings for the children of God. Not only do wicked fathers curse their prodigy by their sinful deeds, but righteous men create canopies of blessing that protect and provide for their families. In Christ, we have obtained the richest blessings of our Heavenly Father. The promise of God to the Christian is that He will wipe every tear from their eyes. That is part of the glorification process. But here on earth, we are still subject to the pains of sin and sorrow as our process of sanctification progresses. But we can count on God delivering us from death and sanctifying us completely. In the beginning, the world was perfect. Then, God tells us how sin and death entered His ideal creation, through the disobedience of man. This rebellion against God was the crime that brought the King’s righteous wrath and indignation upon us. The fall of man, therefore, is the cause of our depraved natures, and the desire for utter depravity. The grace of God holds in check the evil of mankind, only for the sake of Christ and His elect. God is a just King. He will not let the righteous suffer (with one exception), nor the wicked escape punishment (with one exception). Aside from Christ, we are all wicked, vile perverts. Because none are righteous, we all deserve punishment. But for the sake of Christ, the Father has shown mercy to His people. For through Christ, we are righteous in His sight. And “I have never seen the righteous forsaken nor his children begging for bread.” Through Christ, we are the Father’s own children, and He will not leave His own to die on the battlefield. Pain, death and suffering is a natural consequence of man having lost faith in God, and disobeying His righteous decrees. As Adam sinned, he created a family culture of sin that was passed down to all generations, endowed us with a natural predisposition to evil, and, as evidenced by his immediate ‘flight’ from the presence of God, an inbred fear. Becoming a Christian doesn’t excuse you from the consequences of sin; no, it delivers you from them. The trials and hard work and sadness don’t go away, but God gives the strength to carry through, and glorifies His servants to eternal life. Being sad over sin is a good, healthy thing. Weeping at death is proper. Mourning the curse is right. But there is hope also; there is joy. And that is for the Christian, the one belonging to Christ. Fight sin with every ounce of your strength, it is your most important battle. Your weapons are at hand, go out in faith and obey the King’s commandments. Editor’s note: I’ve received some feedback that paragraph 3 was confusing–how can God take at the same time let good, Christian friends die and yet, not leave one of His elect to “die on the battlefield.” For additional context, see the comments on this post. What does the word ‘Salvation’ mean to you, Christian? In the modern evangelical context of watery gospel, preachers only talk about what we are ‘saved to’. Saved to glory/heaven, saved to fulfillment, saved to a wonderful plan for your life, saved to an ice cream cone, whatever. But in the English context (and historical Biblical context), folks are not ‘saved to’, they are ‘saved from’. Saved from getting run over, saved from falling, saved from a defeat, saved from instant death, are but a few examples. When we receive good things, that is grace, not mercy. Christ’s actions at the cross have reconciled us to God–placating His wrath–destroying the enmity of God towards us, and through the process of sanctification and glorification, breaking down our enmity towards God. So then, brothers, let us shod our feet with the readiness of the Gospel of peace, and live in its light. At the heart of Christianity is the Gospel. In fact, the case could be made that Christianity is the gospel. The Gospel is the truth about God and his acts, as revealed in Jesus, the divine Word. If we are to respond in faith and obedience, we must have an intricate understanding of who God is (faith) and what He does (obedience). As James says, faith without works is dead. What you truly believe will shine in your actions. So an understanding of the Gospel is not only of what your heart is to think, but what your hand is to accomplish. We are not only to think God’s thoughts after Him, but also to do God’s deeds after Him. You see, the actions of God are our pattern for action on earth. And the heart of the actions and character of God is the Gospel. As soldiers on a mission, we haven’t been sent without our orders. In fact, the chief mandate has been derived from the paperwork with which we have been commissioned. You know, of course, that I speak of the scriptures. In it’s original form, the Bible is Christ’s narrated word. Conceived by the Father, existing through Christ, and delivered by the Spirit, the very Words of God must not be taken lightly. I refer to all of scripture as the Torah, or God’s Law-Word. Scripture, being sufficient for all of life, primarily consists of doctrine (belief) and experience (action). In other words, what we must believe and what we must do. Faith and Obedience. Our battle is between the truth and the lie. And we have the truth–start from the solid ground of Scripture, and your feet will not be shaken. Presuppose that truth is true and the lie is false, and you’ve laid the groundwork for a successful campaign, and can stay on the correct side of the conflict. Carry on, follow the true standard. You are my God, be quick to save. Saved by the blood of the Lamb. Instill in us Your holiness. Take our wicked lives and reform them as Christ! Now His standard and His word we will follow and obey. Make us worthy o Lord, of your love. The fear of the Lord is the beginning of wisdom, and knowledge of the Holy One brings understanding. To properly fear God, you must have a correct understanding of who you are, and who God is. For example, I was (apart from Christ) a worm, sinful, hopeless, powerless to change even the color of one hair on my head. On the other hand, God is all glorious, all just, all wise, and all powerful creator who spoke the world into being. And before I was in Christ, God was at war with me and I was his sworn enemy. God could snuff my life into everlasting damnation with one word, and all I could do was bring glory to Him anyway by my destruction. If that doesn’t strike terror into your heart as an enemy of God, your heart is hard and callous. You see, it’s a good thing that the sinner fear God. It makes his heart soft and supple for the rest of the message. You see, while I was yet a sinner (the avowed enemy of God) Christ died to clear my record and set me straight with God. Now, God is no longer at war with me, and through the sanctifying power of Christ, I am becoming no longer at war with God. Now, God is no longer angry with me, but it is still wise to fear His name. Fear of the holiness of God will only serve to mortify my flesh more and more. Not only should I fear the holiness of God, but also His displeasure, and that out of love. In the sight of the holiness of God, mere men are nothing. In comparison with His power, the greatest of earth are but mites. So, if you have a correct understanding of God, the fear of men, the unholy terror, will simply fade away. For if God is on your side, who can be against? One of the outward expressions of worship is evangelism. We can express God’s glory back to Him (upward worship), to ourselves (inward worship), and to the world (evangelism). Not only are we commanded by the great commission to go forth into all the world and preach the gospel, but the very essence of the message demands that it be told. If, as in fact, every man on earth should die in a state of horrific sinfulness, alienated from God and under His Wrath, but the all-powerful God of all the universe–even while these men were still His enemies–made a propitiation for the sins of an elect, and ransomed them from their condition of filth, not only imputing His own righteousness to us but guaranteeing by Himself that He would sanctify us and glorify us as to be perfect, righteous and worthy to spend eternity with Him. When that story includes One of the glorious Persons of the Trinity becoming a little child, teaching with infinite wisdom, focused on one purpose, and dying as a passover lamb to redeem the elect; When God His Father raises the King of life back to life, conquering sin, death, and the curse. When the story has been revealed to you by the Hand of God Himself (through the Apostles and Prophets), are you going to timidly sit back and keep it a secret? Not a chance. The gospel is a story that needs to be told. How badly do you have to hate someone to not proselytize? As an outward expression of worship, evangelism is core to the mission of glorifying God. 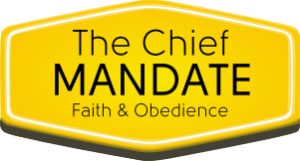 In addition, it is the chief means of expanding Christ’s kingdom, and bringing all men under the dominion of Christ.